How Does Smoking Affect My Body? We all know smoking harms our lungs and can lead to lung cancer, but what else happens when we smoke? Smoking lead to brittle nails, dry skin, and lackluster hair. It also causes early aging and a gray complexion. Smoking stresses your heart and raises your blood pressure, which can lead to a higher risk of heart attack. Your brain becomes addicted to nicotine, so when you stop smoking you can become irritable, cranky, and have other withdrawal symptoms. Studies show people who smoke have larger bellies and a higher risk of diabetes. Smoking isn't worth it. 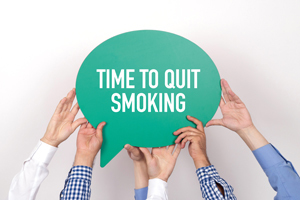 Decide to quit today and talk to one of our smoking cessation counselors. Are You Ready to Quit Smoking, but Need Some Help? Beebe's trained counselors are here to help you with three, free, one-on-one counseling sessions. Beebe's Quitline-trained counselors are based at the Margaret H. Rollins Lewes Campus and at the Rehoboth Beach Health Campus. Call (302) 645-3030 to make your appointment today! Why Should You Quit Smoking? According to the American Lung Association, cigarette smoking causes more than 480,000 deaths per year which turns out to be 1 in 5 deaths in the U.S. The Centers for Disease Control and Prevention (CDC) reports that smoking is the cause of 90% of lung cancer deaths and 80% of deaths in people with COPD (chronic obstructive pulmonary disease). Not only does cigarette smoking affect the lungs it can be linked to cardiovascular disease. Smokers are 2-4 times more likely to have coronary artery disease and are 2-4 times more likely to have a stroke. In addition to affecting the heart and lungs, smoking can have a negative effect on other systems in the body including circulatory system, reproductive organs, mouth, skin, eyes, and bones. Smoking is also a risk factor for many other cancers throughout the body, including but not limited to, pancreas, liver, colon, and throat to name a few. 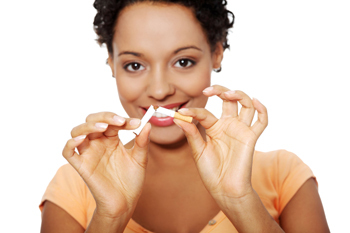 There are many reasons to quit smoking and every smoker has their own personal motive. begins to repair any damage caused by smoking. Convenience: Let’s face it, smokers are the minority and it has become extremely inconvenient to light up in public places. Smokers are forced to stand out in the cold or rain just to get that nicotine fix. Friends and Family: Second-hand smoke is not good for anyone, especially children and babies. Children often times have more chest colds and ear infections when they are around second-hand smoke. Babies who are born to smoking mothers have an increased risk for premature delivery, low birth weight, and higher rate of sudden infant death syndrome. Do any or all of these give you incentive to quit now? Call us to make your appointment and set your QUIT DATE! Call (302) 645-3030 to make your appointment today! Vouchers for prescription and non-prescription nicotine replacement therapy will be distributed by the counselor. Any smoker who is a Delaware resident and is of 18 years of age is eligible to take part in this program. Charley Senick of Long Neck is back to enjoying life with his wife, Mary, following lung cancer surgery at Beebe's Center for Robotic Surgery. READ MORE. Have you been diagnosed with or think you might have lung cancer? Find out how Beebe's care teams can help you. James Coyle was diagnosed with lung cancer. He and his wife were determined to make lifestyle changes. READ THEIR STORY. Smoking is the No. 1 cause of preventable death. PA-C Eugene Isaac gives you reasons to quit. READ MORE.